We’re back after a bit of an unintentional hiatus, thanks for your patience with the Sampler blocks. 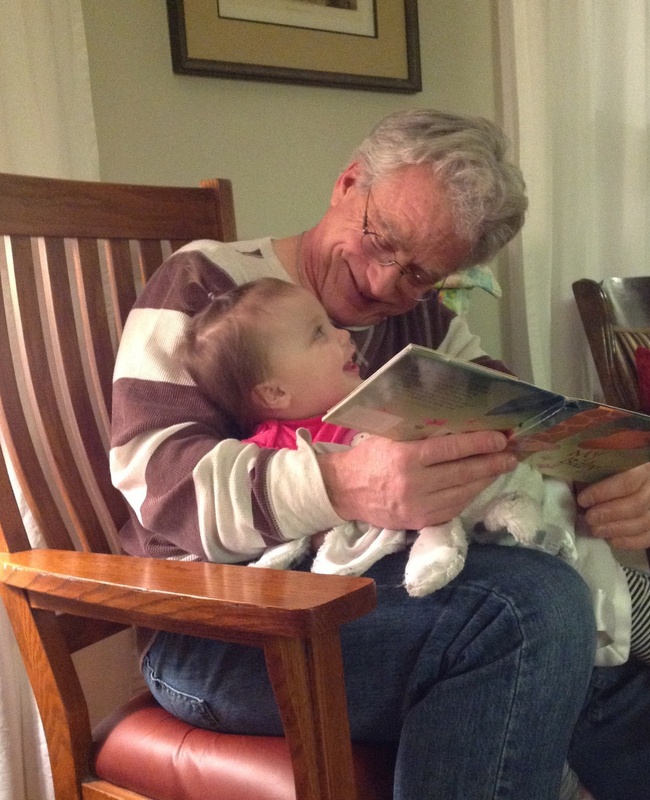 Winter ushered illness into the Brunnette home, and after two weeks of trying to find an answer to the question of why a man who almost never gets sick couldn’t seem to get better–we found out he had Leukemia. Sadly, he passed away just 17 days later. He was my best friend, the Number One Cheerleader of Row House Creations, and supported everything I did to foster my creative spirit. We only had nine years together, finding each other later in life, but it was a wonderful nine years. My life will never be the same, for better or for worse, and I miss him like crazy. But, he would want me to move forward, press on, and live a good life. So, I’m going to do my best to do just that. While he was in the hospital, this was announced. He and I knew the previous Thursday that my quilt had been selected the 1st Place Winner; but it was hush-hush. He kept asking me that Monday if the “internet had lit up with my quilt yet”. He was crazy proud of that accomplishment and told anyone who would listen. I was amazed at how many of his doctors and nurses were either quilters themselves or married to quilters–Quilters are Everywhere! So the quilt. I changed my mind SO many times before I ever cut into the fabric. When I finally did, I only had five weeks left to the deadline (never mind the challenge fabrics had been in my possession for over 3 months at that point). When I did finally cut into the fabric I was still undecided, so I just cut a bunch of squares and started piecing half-square triangles using Riley Blake stripes, chevrons, ombre dots, a few prints from an Ashbury Heights charm pack I had, a fun red jigsaw puzzle print, and a few different grey/taupe solids from my stash. 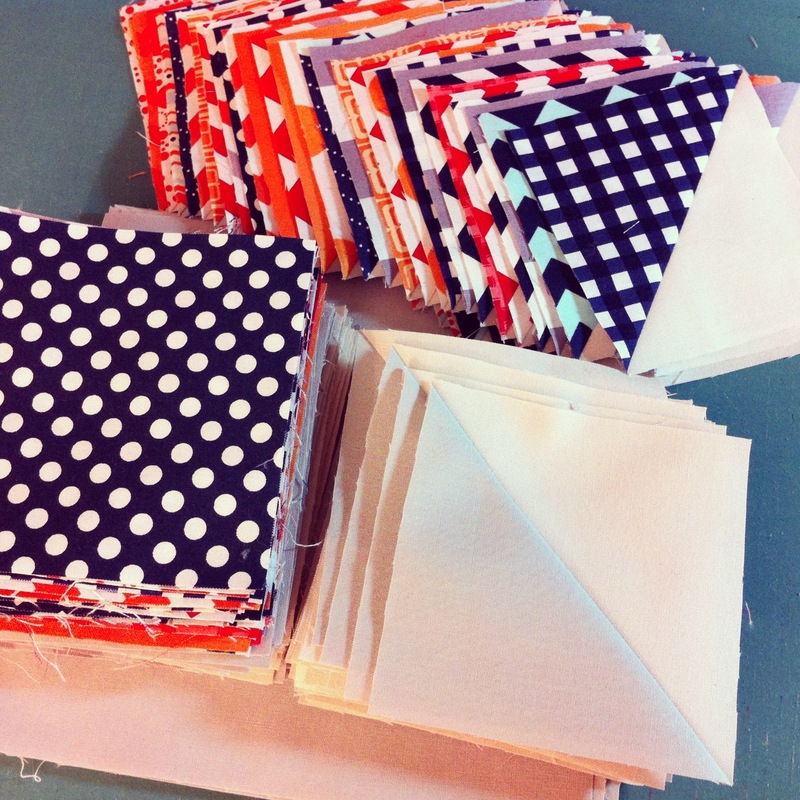 I focused on using the orange, navy and the greys from the original fabric pack. 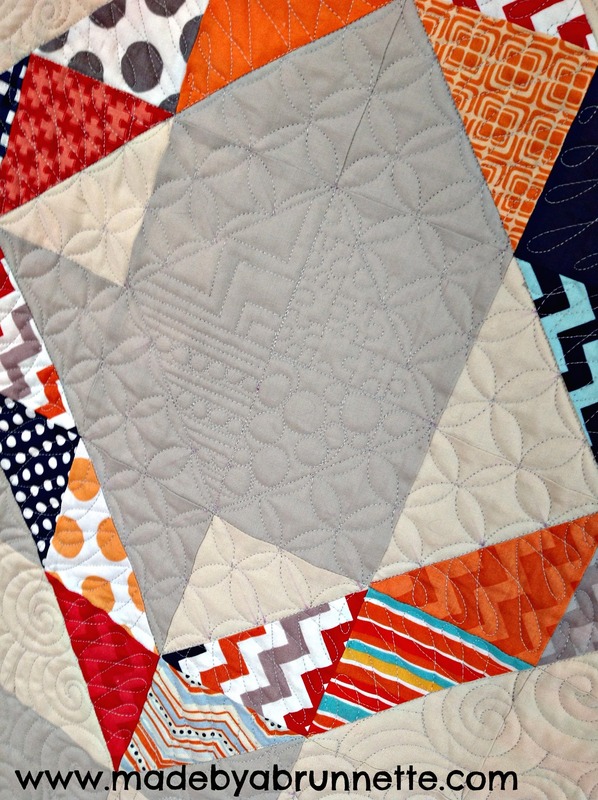 See how she created shadow HSTs, including quilting the chevron design, the polka dots, and the jigsaw puzzle fabric design? Seriously amazing. We’ll be back next week with Block #14 in our Building Foundations Sampler! Dear Doris, I am so very sorry for your tragic loss. What a roller coaster of emotions you’ve been on. Good that you were able to share your win with your best cheerleader. May all your wonderful memories sustain you through the tough days. 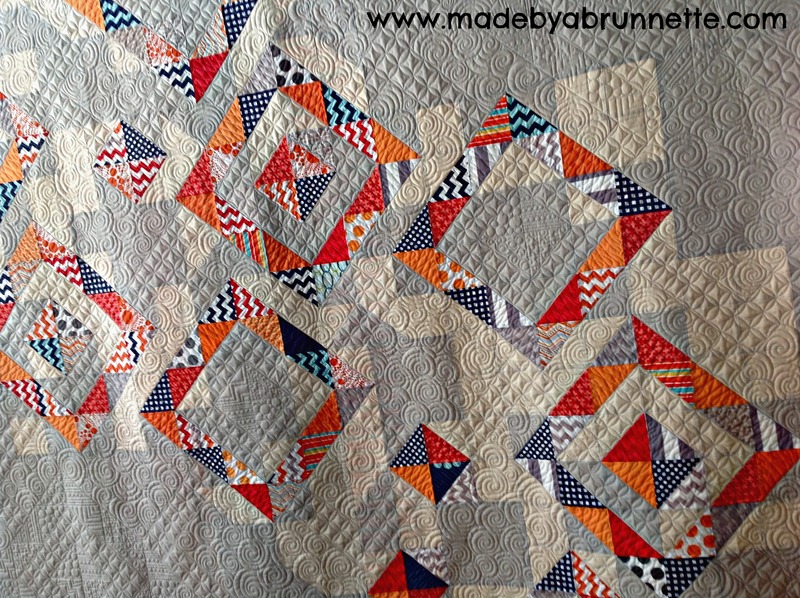 You definitely have turned out many quilt winners–this one is fabulous–but you probably figured, since I already quizzed you about a pattern! Amazing indeed! It’s wonderful & inspiring to see once again what your talented collaboration produces. Congratulations to you both. Oh my!!! You have my prayers and HUGE hugs (I so wish I could give them to you in person!!!!). Yes!!!! Judi’s new book….THAT book….arrived from her last week and I’m in love!!!! Trina’s ‘take’ is perfect!!!! Your quilt is amazing and he would be so proud of you as everyone acknowledges this one!!!! It is stunning and everything I love in the “Mod Movement”!!!! Go on, we must. But, not alone…thankfully. And, yes, quilters are everywhere and very special people!!!! Aren’t we blessed to be a part of such??!!!??? Hugs and blessings to you, Dearheart……………………………..
That quilt is absolutely beautiful. It’s some of your best work. I know that Frank is in there, so I hope you’ll always have this quilt as a memory of him. I am still in shock over how quickly that all progressed. The only saving grace of cancer is that you have some time to say goodbye and to plan things, but your timeline was so short. I hold back tears every time I relay this story to a friend. Totally unrelated: I need Trina’s number. I keep meaning to finish my quilt tops into quilts, and I think 2014 is the year that’s going to happen (she says for the 5th year in a row). I actually have $ to do it now though! You gals created a true work of art. I’m so glad it was recognized! Doris, kudos for your post and story. There isn’t a day that goes by that I don’t think of you and your sweetie and how swiftly he was taken away. But you have so many fabulous memories, and you have Trina, who is an amazing friend and artist. How blessed you are to have that relationship. Take care. I am so very sorry for your loss. You are so incredibly brave talking about it so openly to all of us. I will be lighting a candle for you, and am sending you warm thoughts and all things happy. My sympathy on your loss of Frank.